ReachNow will offer 30 parking spots at a Wally Park garage near the airport for people heading out or returning from a trip. 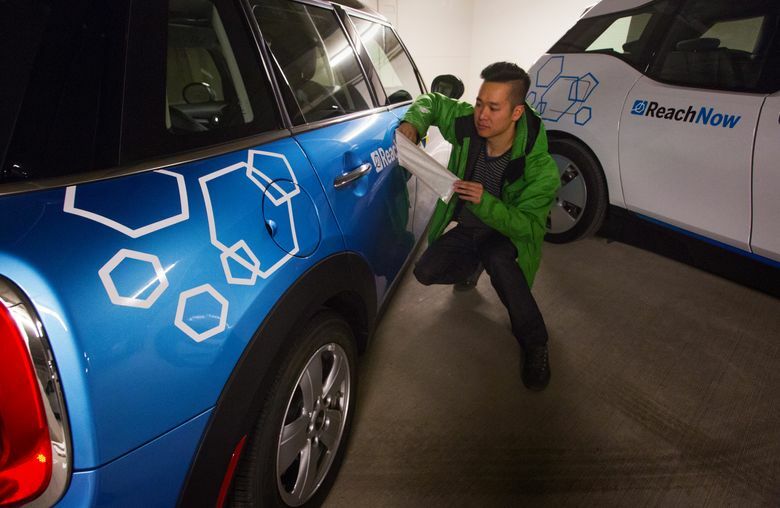 BMW is expanding its car-sharing service to a parking lot near Seattle-Tacoma International Airport. ReachNow, BMW’s Seattle-based network of cars that people can drive within most of the city of Seattle, will offer 30 parking spots in the Wally Park Premier Garage near the airport, starting Wednesday. People can drive the cars from within Seattle, park at the lot, and then take a free shuttle to the terminal. People landing at Sea-Tac can find a ReachNow car using the app and drive home from the airport. Trips to and from the airport have an added $5 fee. BMW isn’t the first car-sharing service to expand to the busy travel hub. Zipcar secured parking earlier this year, and ride-hailing services such as UberX are now allowed to pick up passengers from the airport. ReachNow has been rapidly expanding across Seattle since its launch in April. The company announced it would soon launch service in Portland.